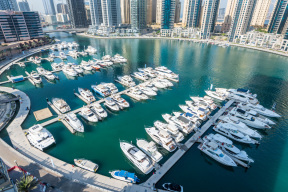 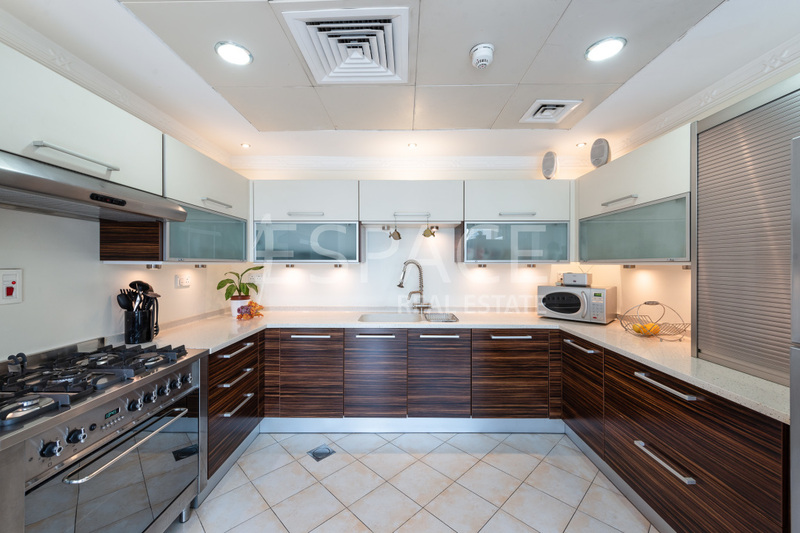 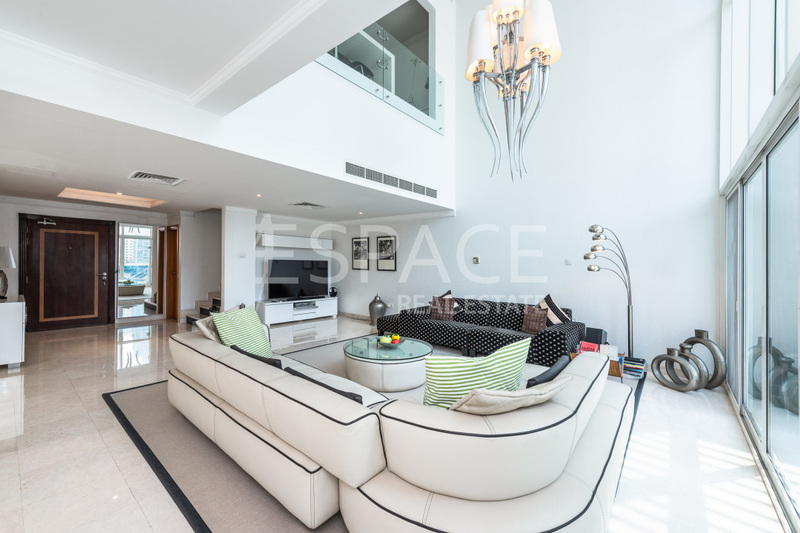 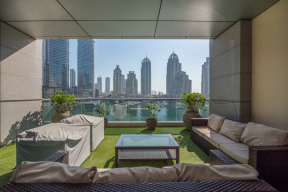 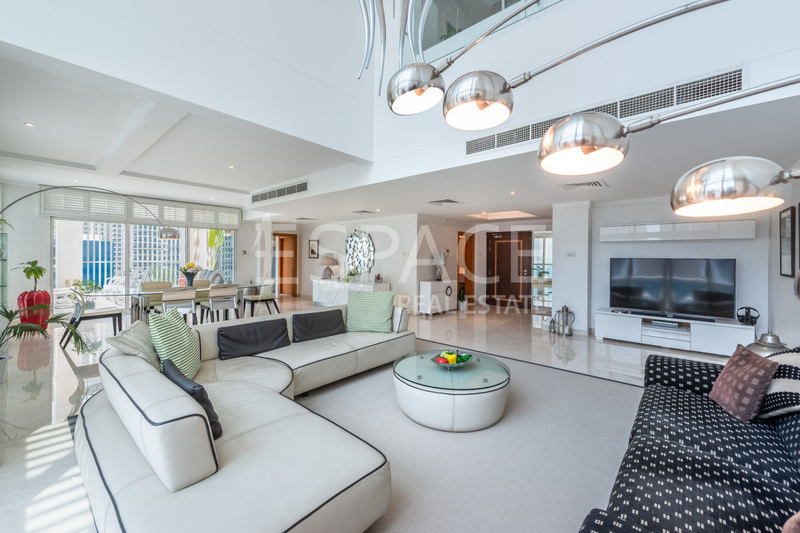 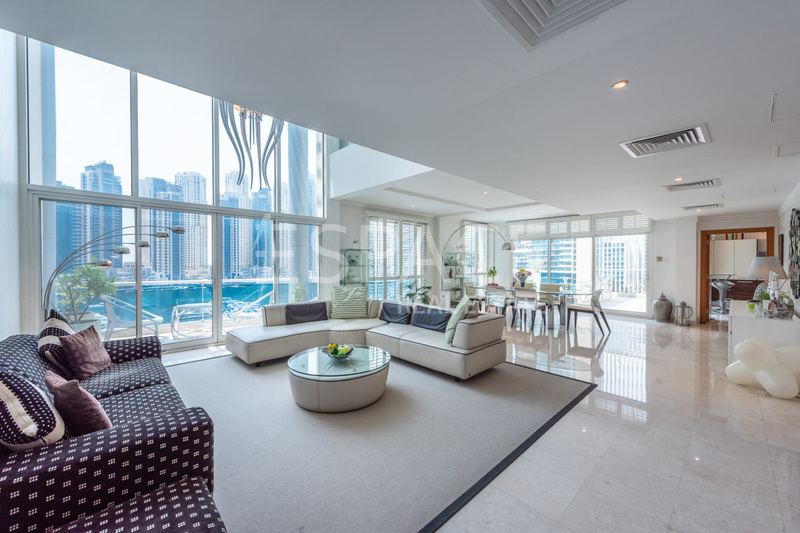 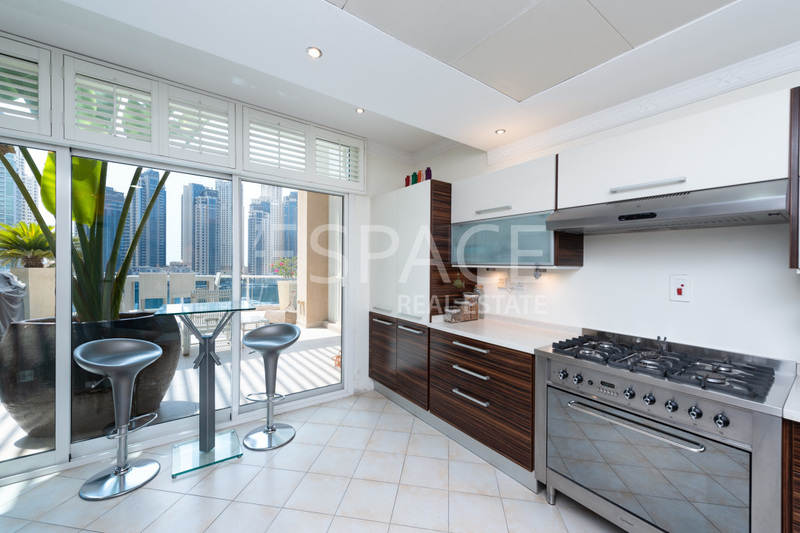 Listed with Espace Real Estate is this very bright 4-bedroom Penthouse with Marina view in one of the most sought after developments in Dubai – Dubai Marina. 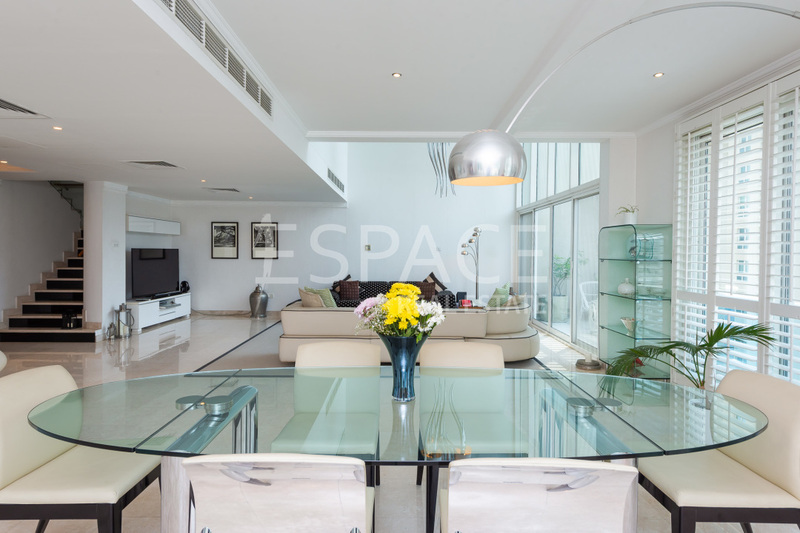 The property is situated on a low floor & consists of huge & bright living area with high ceiling. 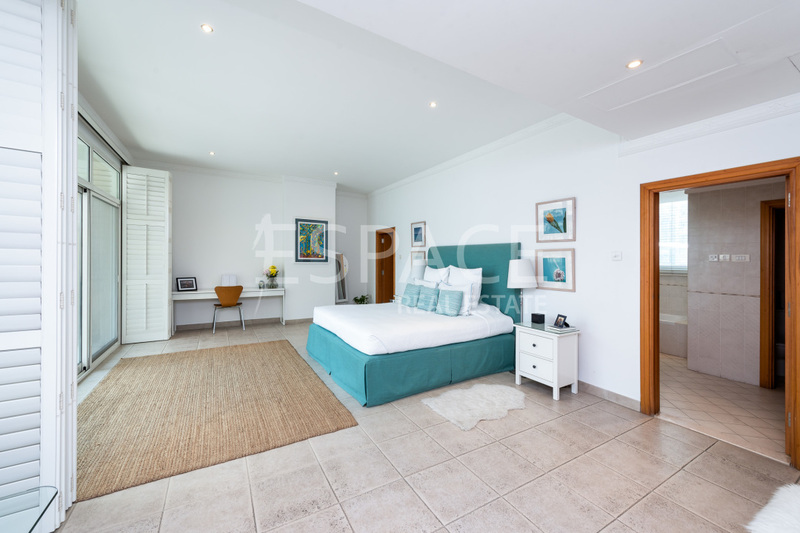 On the first floor all 4 bedrooms has en-suite bathroom and built-in wardrobes plus a study open to below. 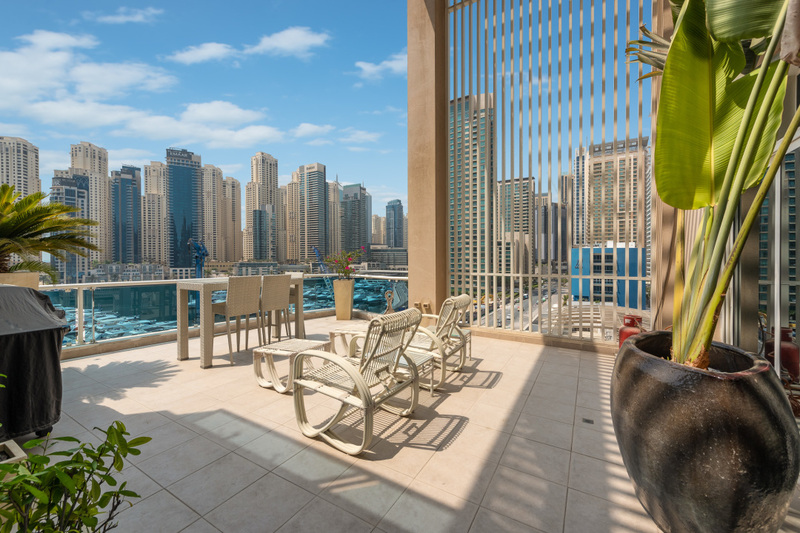 Swimming pool & gym are available & the building is situated within walking distance to the beach, JBR, & Marina Walk. 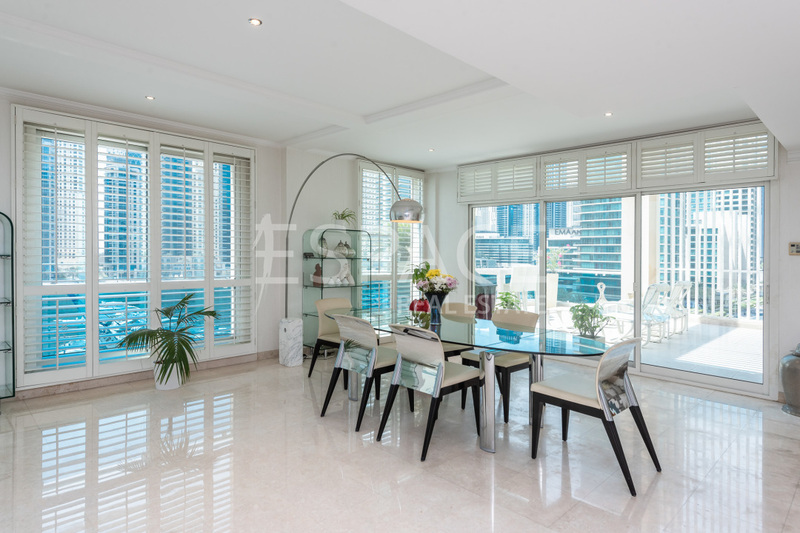 The Emerald Residence in Dubai Marina incorporates all the assets and amenities of well-planned residential resort.